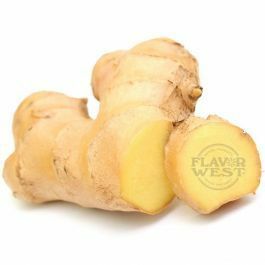 Ginger flavor delivers sweet and distinctive aromatic ginger flavor in food and beverages. A drop of ginger flavor comes with a fresh and gingery scent in your treats. Type: Ginger Water Soluble Flavoring. Ingredients: Natural and Artificial Flavoring, Triacetin and Ethanol. USP Kosher Grade Flavoring. Usage Rate:15-20% for E-use. Flavor Suitability: Drinks and beverages, smoothie, desserts, pastries, baked treats and more. Specific Gravity: 1.09 No Refunds on Flavoring.